SONOSIM SUMMARY: This article from the Journal of Education in Perioperative Medicine details a study in which anesthesiology residents were assessed on their ultrasound proficiency in a competition that utilized elements of an objective structured clinical examination (OSCE). Anesthesiology residents with varying clinical experience were told to perform sonographic tasks at six varying stations using both live models and ultrasound simulators (such as the SonoSim® Ultrasound Training Solution). The authors hypothesized that the more experienced PGY-4 residents would outperform less experienced PGY-2 residents; however, results did not demonstrate a correlation between clinical exposure and ultrasound proficiency. 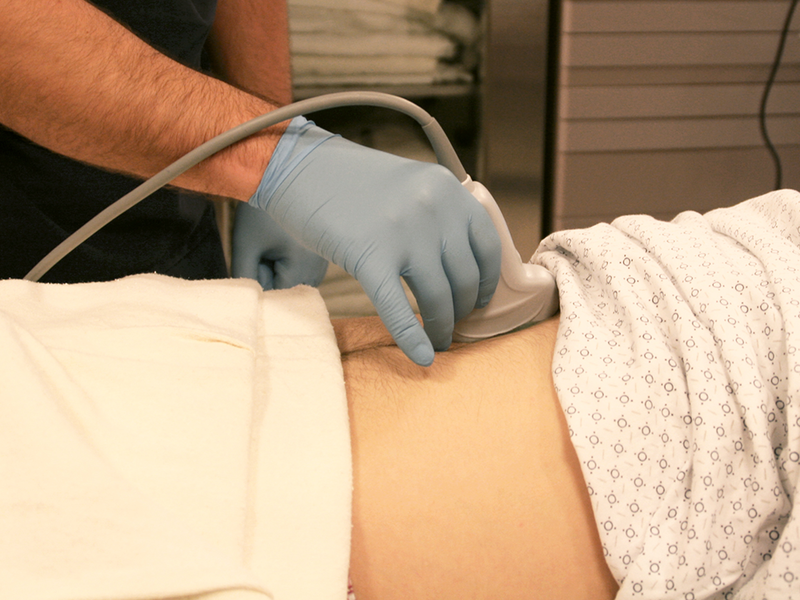 The authors concluded that a formalized ultrasound curriculum is necessary for anesthesiology residents to become fully proficient with point-of-care ultrasound. Rebel A, Srour H, DiLorenzo A, et al. Ultrasound Skill and Application of Knowledge Assessment using an Innovative OSCE Competition-Based Simulation Approach. J Educ Perioper Med. 2016 Jul-Dec;18(1):E404. Despite Point-of Care Ultrasound (PoC US) rapidly becoming an important tool in perioperative medicine structured education, PoC US is currently rarely integrated into the anesthesiology residency curriculum. The aim of this project was to assess the current ultrasound skills of anesthesiology residents at one institution and evaluate the needs for development of a formal ultrasound curriculum. A event containing 6 different OSCE PoC US stations was developed with following stations: vascular, peripheral nerve block, lung ultrasound, transthoracic echocardiography (TTE) human model, pathologic TTE (simulator), and inferior vena cava (IVC) evaluation (simulator). The ability to obtain an US image or to interpret the US information was evaluated using a checklist and global rating scale. After IRB approval, anesthesiology residents participated in this event (n=30; PGY 2-4). All residents were able to identify vascular structures and demonstrated sufficient ultrasound skill for lung anatomy IVC assessment. The lowest scores were observed for performing and interpreting TTE. There were no differences in resident ultrasound skills for all OSCE stations except minor differences between PGY 2 and PGY 4 in TTE pathology station. While more advanced residents had more clinical exposure to ultrasound for procedures and point-of-care diagnosis, we did not find growth in ultrasound skill level. Despite performing sufficient ultrasound guided peripheral nerve blocks, PGY 4 residents were not able to consistently identify common nerve block targets. Our findings indicate that exposure and clinical use of ultrasound for procedures and point-of-care diagnosis is not sufficient for developing competency in PoC US and that a formal curriculum throughout the entire anesthesiology residency is needed to ensure PoC US competency. To read the article, visit the Journal of Education in Perioperative Medicine.